Mission Firefly was established in 2009 when a group of friends decided to put their faith in action. 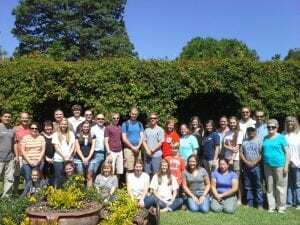 After much research, this group connected with people in Guatemala that understood the impoverished community in Guatemala and were willing to point us in the right direction . In Guatemala, Mission firefly focuses on eight main areas of development. These include spiritual, medical, education, food, clothing, shelter, water, and economic development. It is our goal to assist communities to become self sufficient as we teach them about the love of our Savior! Mission Firefly plans and caries out three to four trips yearly for our partnering churches to serve their adopted communities . Trips are usually taken in the Spring (spring break), Fall (fall break), and summer (July). We believe in a community based approach. 100% of funds donated through our sponsorship program go to the community. We work with the sponsoring Church as well as community leaders to appropriate funds where they are needed. Our ultimate goal is to empower and support the impoverished around the world so that they know that God loves them and they can then spread his Word throughout their own community and country.